There are certain rare gems which are great favorites with collectors, but are virtually unknown to mainstream jewelry buyers. 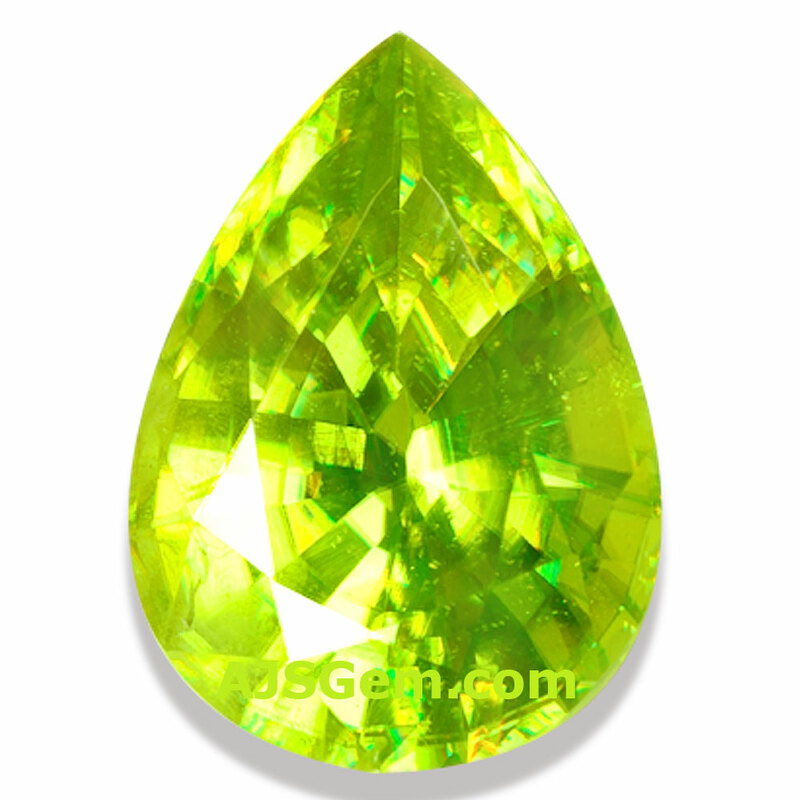 The gem with the unusual name of Sphene is a good example. 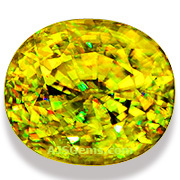 Sphene is a calcium titanium silicate that is known in mineralogy as titanite. The name sphene derives from the shape of its crystals, which are wedge-shaped or sphenoid (from the Greek sphenos). The name titanite refers to sphene's titanium content. Sphene is a gem that is valued for its exceptional brilliance and fire, which exceeds that of diamond. 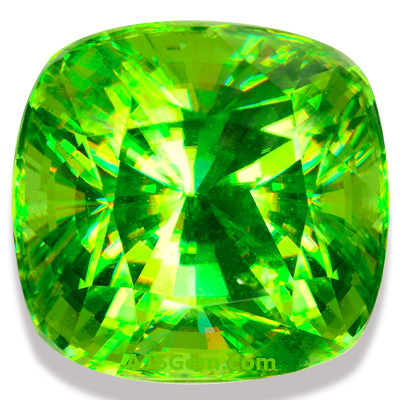 When you hold a gem and turn it in the light, it may display flashes of color. This effect is the result of the splitting of white light into the colors of the spectrum. Gemologists call this phenomenon dispersion, but you'll often hear it referred to in the gem trade as fire. See the video below for a good example of sphene's fire. Sphene is a calcium titanium silicate by chemical composition, and is one of very few gemstones containing titanium (benitoite is another). Sphene is typically green to yellow-green or orange, golden to brown in color. The lighter and brighter colors tend to be more valuable because they display more fire. The chrome green sphene is especially valuable. 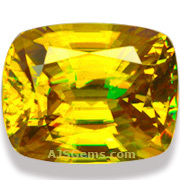 Clarity and cutting also affect sphene's light performance -- clean and well cut stones will be more spectacular, with an adamantine (diamond-like) luster. Sphene is typically completely untreated. Due to its very limited availability, sphene has remained a collector's gem that you are unlikely to find in any retail jewelry store. Sphene has been found in Sri Lanka, Pakistan and Madagascar. 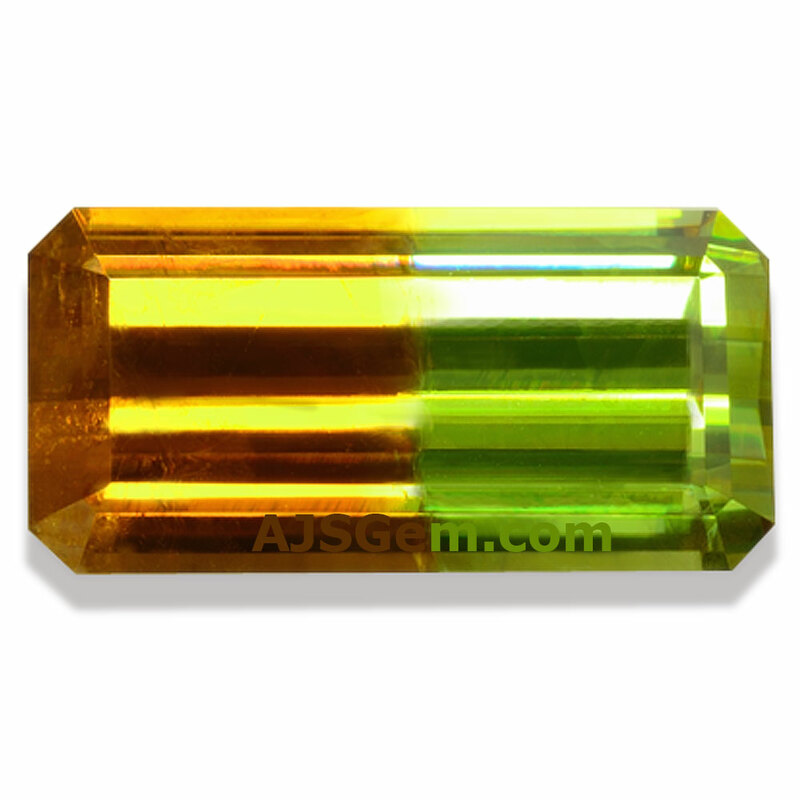 Madagascar is currently the main source for high quality facet-grade sphene. 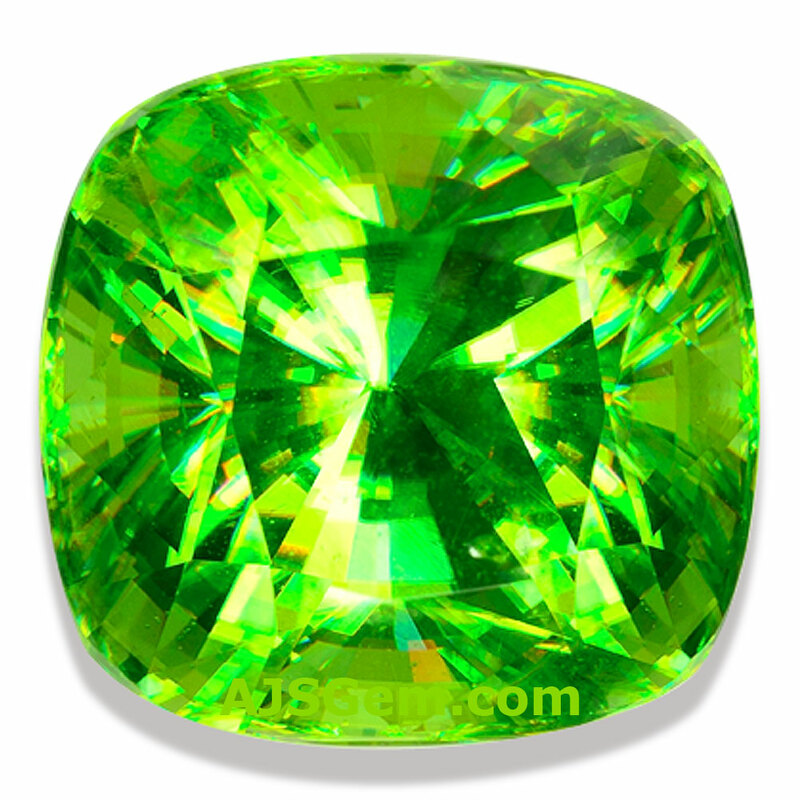 While brownish sphene from Madagascar can be large in size, the green and greenish-yellow stones are most prized by gem collectors and connoisseurs. Because of its relative softness, sphene is usually set in earrings or pendants, where the light can catch the fire of the gem. But you will sometimes see sphene set in rings for occasional wear.